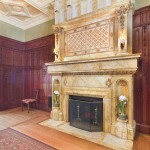 According to the listing, in 1894 the J.P. Morgan residence (now the Morgan Library) anchored the block. 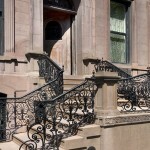 Morgan’s abode was the first private mansion in the city to have electric lights, as the robber baron had been instrumental in funding Thomas Alva Edison’s Electric Illuminating Company. So between the mansions and the electric light show, the neighborhood was definitely lit in the 1890s. 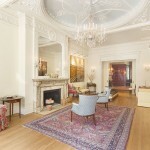 Prominent New York attorney John Trevor, Sr., who worked for Morgan, engaged architect David Robins to construct an Italianate mansion at 21 East 37th Street. 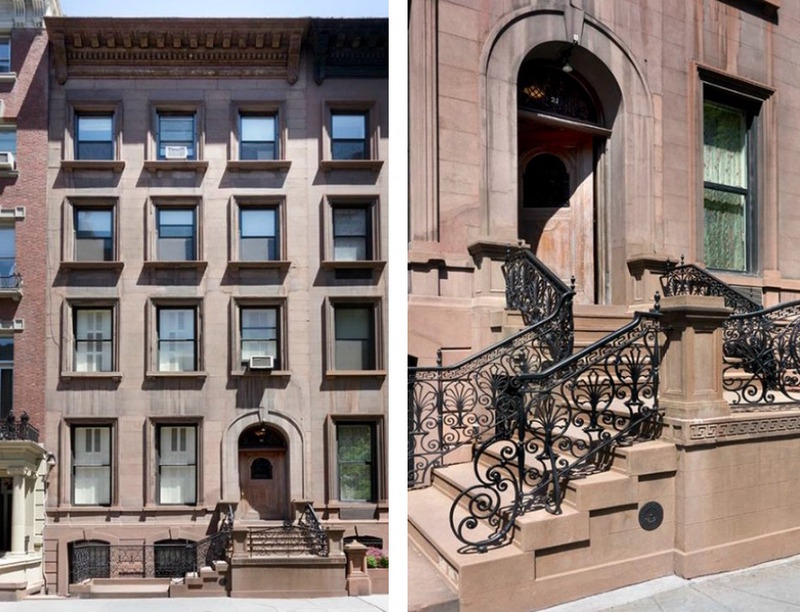 This 25-foot-wide townhouse is recognizable by its beautifully-restored original L-shaped front stoop, original massive wooden door and unique mosaics at the entryway. As mentioned, the house is now configured as ten apartments, so it will take some doing if a new owner wants to create a grand family manse. 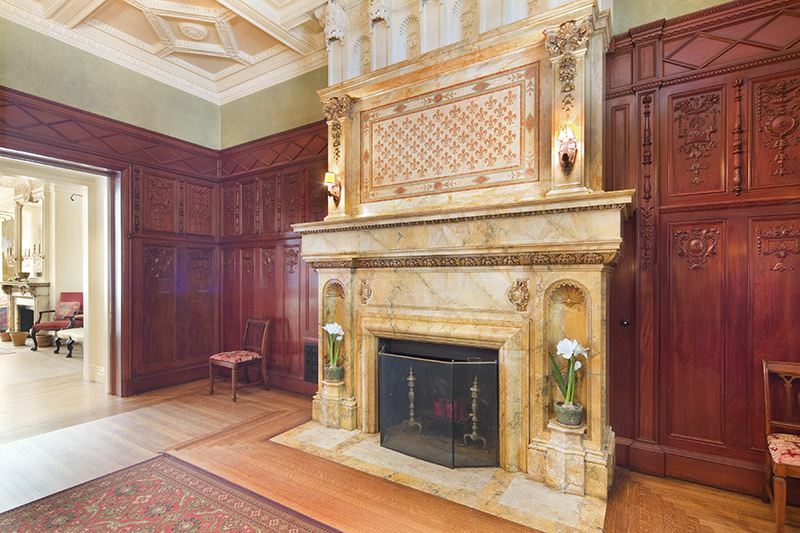 That aside, the home’s impressive parlor and a handful of fascinating spaces are worth noting. 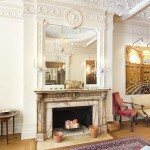 The front parlor has impossibly grand 13.5-foot domed ceilings with endless intricate detailing, unique wainscoting, a marble wood-burning fireplace (there are nine in the house in total) and two large windows facing 37th Street. 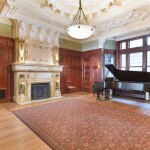 To the rear is the aforementioned music room. 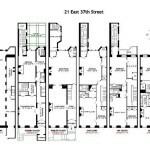 According to the listing, the building’s present owners have discovered the space to have “exceptional concert quality acoustics. 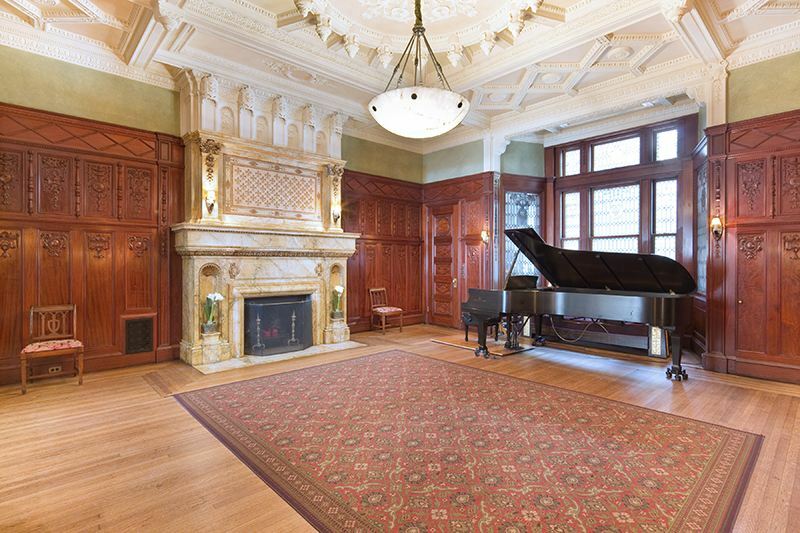 Musicians heading to Carnegie Hall recitals have been invited to come here over the years to test out their programs,” which does, in fact, conjure images from the height of the Gilded Age. On a more practical note, there’s a kitchenette off the music room and a full bath in the extension. 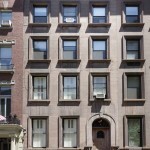 On the third floor is a well-appointed superintendent’s apartment facing the Morgan Library on 37th Street including a large bedroom with a walk-in closet and built-ins. The fourth floor is configured similarly and includes a washer-dryer unit. 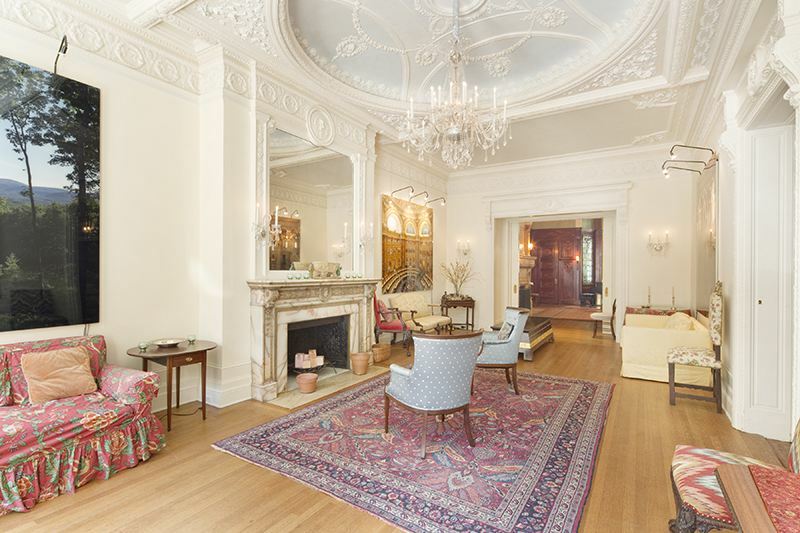 The fifth floor gets light from an enormous skylight and offers a large space with a rear master bedroom, an office, ample closet space, a large full bath and a kitchenette. A curved stair to rooftop offers breathtaking views of the the Morgan Library and the Empire State Building. On the garden level there’s a separate entry below the stoop; down here there’s a private office with a full bath and additional storage; this floor would be a great spot for a single-family townhouse kitchen, opening up to the garden in back.